The Dublin City Coroner’s Court is a three storey red bricked Victorian complex close to the river Liffey in Dublin’s north inner city. Facing the building to the left is a deserted building site where the (now demolished) City Morgue once stood. It was a national treasure (if a morgue could ever be described a treasure) with white tiled floors and walls, wire strengthened glass ceiling flooding three autopsy tables with natural light. In one corner was a bricked up fireplace so that post mortems could be conducted even in the coldest winter days. The doors creaked, draughts whistled and moaned through cracks in the masonry. It was a real spooky place. On my website www.paulcarson.ie there’s a detailed account with photos of my visit to the facility before it was knocked down. The scratched front door of the Coroner’s Court office is dark blue, the entrance porchway tiled. Since completing Inquest significant renovations have been completed and much of the internal layout changed forever. The room of sighs is still as described as is the chamber of ghosts. The basement (in truth) isn’t half as scary as I’ve made out and it doesn’t actually connect with the old City Morgue. But it does contain files going back decades and I’m quite certain it’s haunted (though staff don’t know this!). None of the inquests mentioned are taken from actual inquiries. At the same time they could have been taken from any of the files opened daily. The issues recur with a depressing regularity. Drug addiction and consequences. 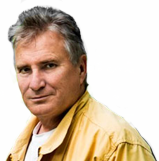 Alcoholism and how it finally takes its toll. Suicide triggered by the economic crash. Depression. Anxiety. Stress. Psychiatric ilnness. You’d need a heart of stone not to be moved by inquests. And while a vivid imagination is a big help sensing ghosts of the departed listening on is not an exaggeration. You can almost touch them. The real Dublin City Coroner, Dr Brian Farrell (he’s a lawyer as well as a pathologist. The man’s got more degrees than a thermometer) handles inquiries with sensitivity and sympathy. More often than not the deceased’s relatives are resigned and passive, nodding their heads as details of their loved one’s final hours are recounted. They’ve long since adjusted to the sudden loss, the inquest a delayed but necessary re-telling of the reasons behind the death. Occasionally they are animated and agitated and angry, usually when the death is in controversial circumstances and they believe someone is trying to evade responsibility for involvement. This is most dramatic when fatalities occur in police custody or prison. Then the tension, anger and hostility in the chamber can be close to riot status. On one occasion officers from an armed services unit gave evidence behind screens, their identities not disclosed for fear of retaliation (the inquiry related to the death of an armed robber, shot by the officers at the scene of the crime). 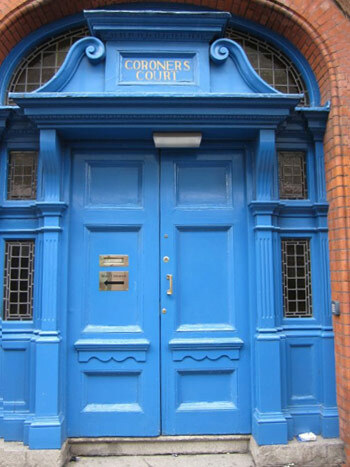 The Dublin City Coroner’s Court is one of the most important, yet least known facilities, in the capital. The coroner (unkindly referred to as ‘the man nobody wants to meet’ in an Irish Times article) has a remarkably low profile considering the position he holds. I suspect he prefers this. Unlike Dr Mike Wilson, my hero in Inquest, Dr Farrell would not indulge in Indiana Jones-type antics.